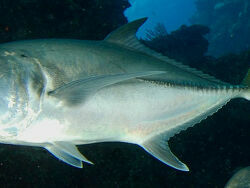 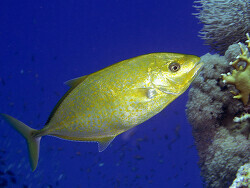 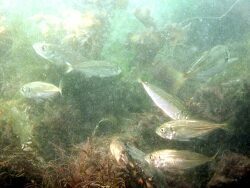 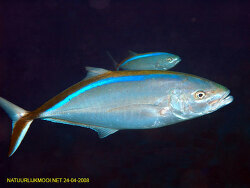 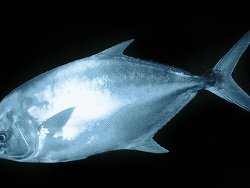 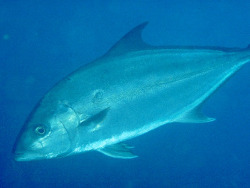 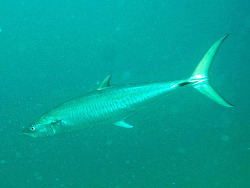 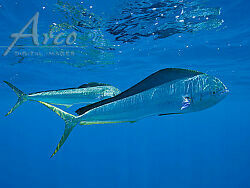 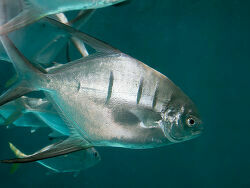 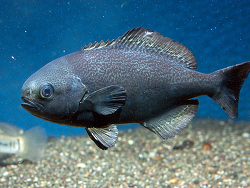 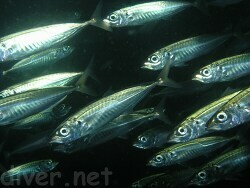 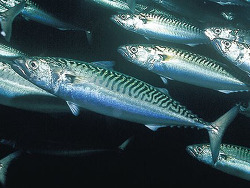 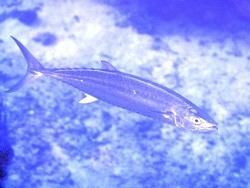 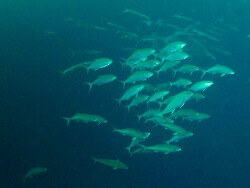 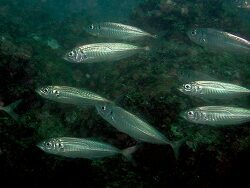 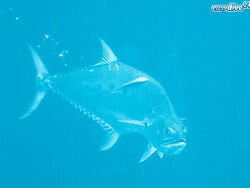 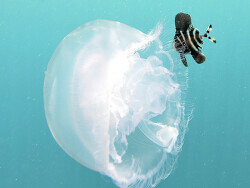 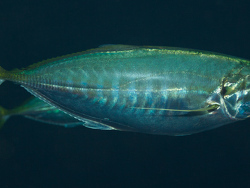 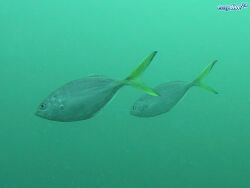 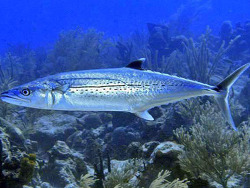 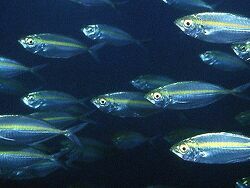 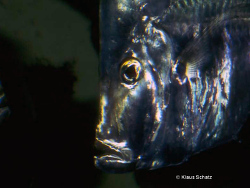 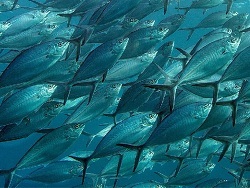 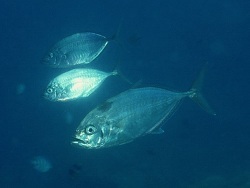 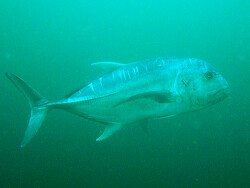 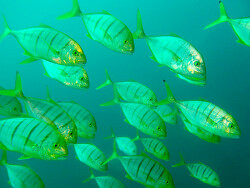 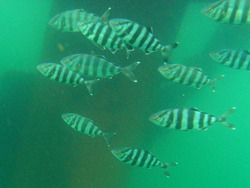 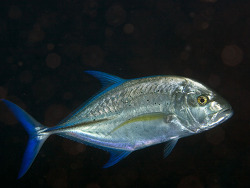 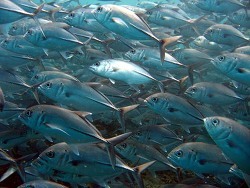 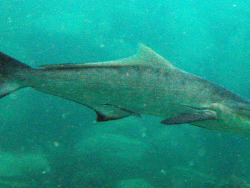 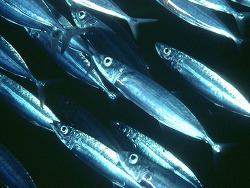 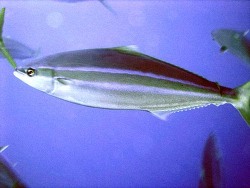 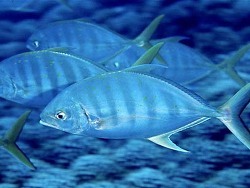 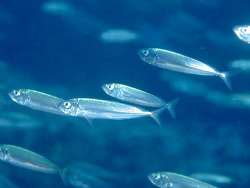 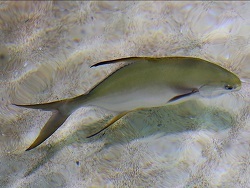 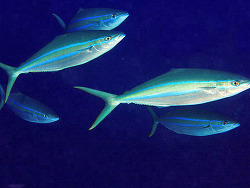 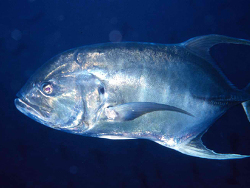 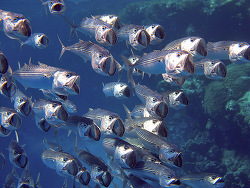 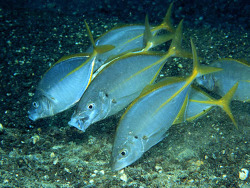 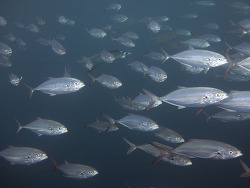 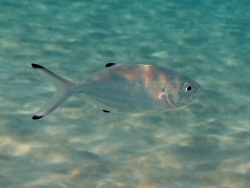 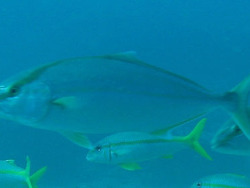 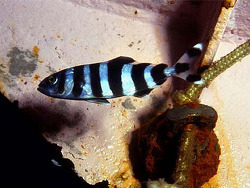 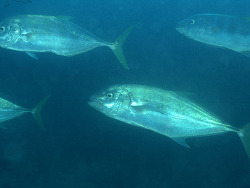 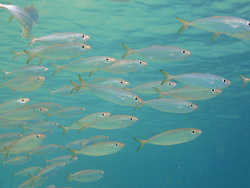 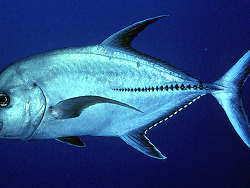 Jacks and Pompanos belong to the family „Carangidae“. 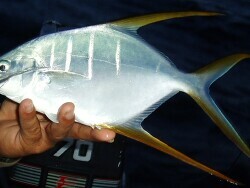 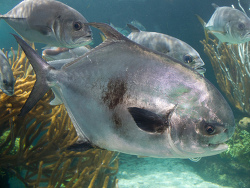 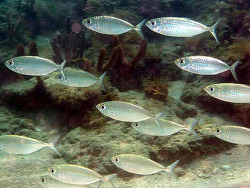 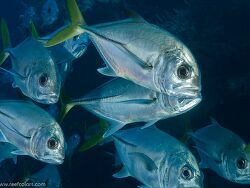 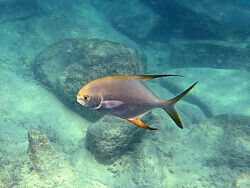 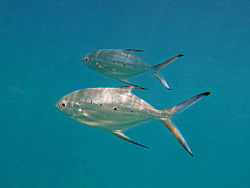 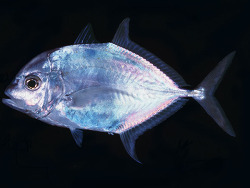 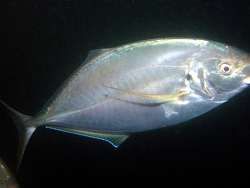 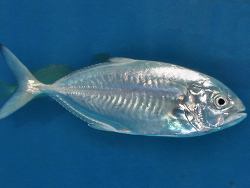 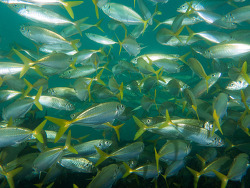 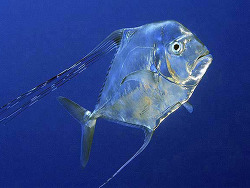 Pompano is the common name for fishes of the genus Trachinotus, and for Palometus simillimus, members of a large and important family of mackerellike fishes, abundant in warm seas around the world. 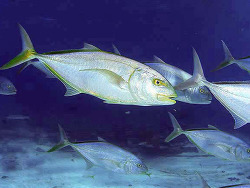 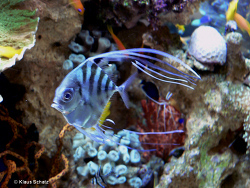 Of the 30 genera and 151 Species that constitute the family, the 5 most important genera in the aquarium trade are the Alectis, Caranx, Gnathanodon, Selene and finaly the Trachinotus.